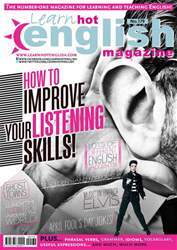 Digital Subscriptions > Learn Hot English > 179 > Voicemail greetings! What do people typically say on voicemail greeting messages? What reasons do they give for not being able to answer the phone? Make notes. You’re going to listen to six voicemail greetings. Listen once. Were any of your ideas from the Pre-listening activity mentioned? Which message is the best? And the worst? Why?